After careful site analysis, the addition of the proper amount of soil material. Grading to ensure correct drainage patterns. The first step when laying new sod and installing a lawn, is to make sure that the topsoil installation and grading is properly executed. Topsoil increases a soil’s water and nutrient holding capacity so it leads to a healthier lawn that doesn’t need to be over-watered or over-fertilized. This topsoil is mixed with the existing soil to promote the most benefit. Grading is a vital process in preparing your lawn for installation and it is important to have it done by a landscaping professional. Many builders will provide you with a rough grade which will leave you with a relatively level soil base, but it is generally too compacted to promote optimal sod growth. Our landscaping equipment and expertise not only loosens the compact soil, it also ensures the ground is properly graded. This grading serves two purposes. First, the grading ensures a level yard that will promote optimal growth. Secondly, the grading will ensure that your yard is equipped with the correct drainage patterns so that you don’t end up with that one soggy spot that never dries. Or the dry spot that you can’t seem to keep alive. 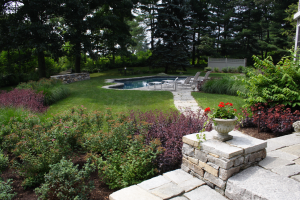 With our many years of experience, Burnett’s is able to provide you with the expert topsoil installation & grading service you need to have a beautiful lawn. Usually in the form of blankets, matting, fabric logs, or geotextiles. When bare soil is exposed or new soil is lain, erosion is something you must be aware of and take measures against, particularly if your lawn or yard is on a steep incline or hill. The best form of erosion control is through natural vegetation because the roots entwine and hold the soil in place during periods of heavy rain or flooding. However, before grass grows on a brand new lawn, it is important to take steps to mitigate potential erosion. At Burnett’s Landscaping, we use erosion control blankets, matting, fabric logs, and geo-textiles to prevent erosion. These proven and effective measures of erosion control are great options while you wait for your natural sod to grow and cover the ground. Water, seed, fertilizer, & mulch for pennies per square foot. Hydroseeding is the most common name for a process of seeding a yard, particularly if the yard is on a steep incline. Hydroseeding, sometimes called hydro-mulching or hydraulic mulch seeding, is a planting process that uses a slurry of water, seed, fertilizer and mulch. A slurry is a dense, mud-like substance that mixes all the components together to provide an effective and efficient planting of large areas. The thickness of the slurry helps when planting on a steep incline and the hydraulic application process drastically speeds up the planting. The best part is that hydroseeding is very affordable and with Burnett’s Landscaping’s top of the line equipment, your lawn will be done before you know it! An immediate lush, green lawn. If you want a beautiful lawn immediately without having to wait for seed to take root and grow, sod is the perfect solution for you. 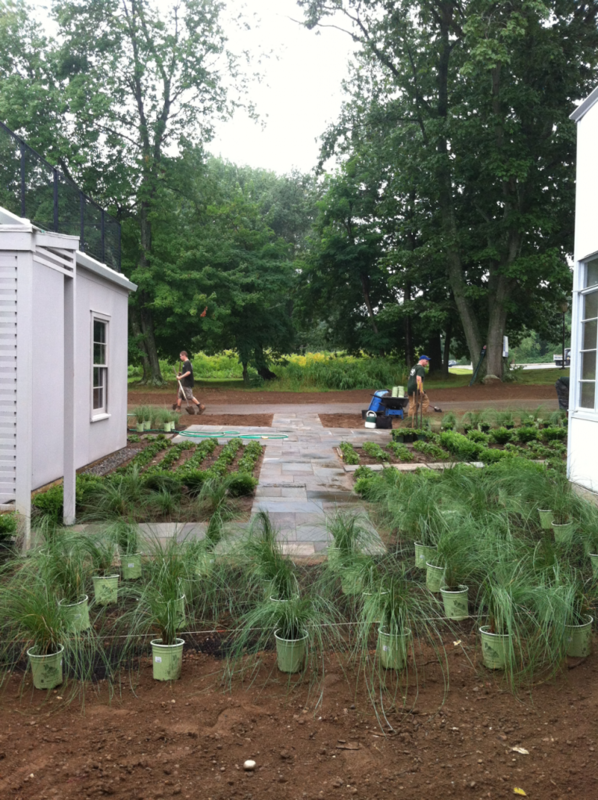 The grass is grown by experts and delivered to the house in perfect condition. Burnett’s Landscaping will take the time to make sure that the sod is rolled out and cut to perfectly fit your lawn with no gaps or holes. Sod installation is a great option for those trying to establish a lawn on a steep incline or area prone to erosion.